This increasingly popular panel type offers glass spanning between the posts, with or without a handrail. The premium post system provides a barrier with minimal obstruction to your view. The clean lines of the exposed top and lower edges of the glass capture the frameless look of our other styles, but are typically more friendly on the wallet. 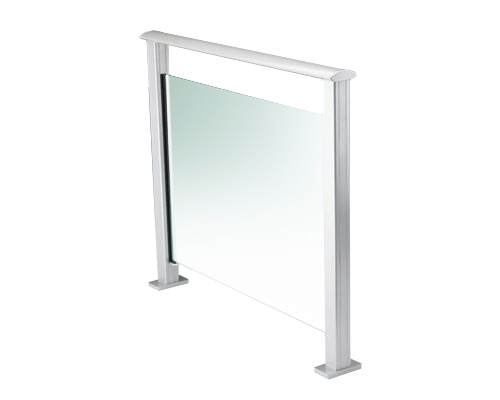 For the lowest cost option, we offer the same style system encorporating a matched handrail so that regular toughened safety glass can be used. Post balustrades have been a staple at Haynes for over two decades. We know the issues to watch for, we dont cut corners.. and we know all the rules! Great quality in a wide range of stylish designs, our post balustrades will meet your safety needs while adding value to your home. Our post systems are custom made for virtually any deck shape and installed by experts in the trade. Post balustrades can be used in residential or commercial settings. From single residences and apartment buildings to offices and high rises. There are matched gates for pool fencing. Available in anodized or a selection of custom powdercoated finishes to suit any deck. Post balustrades are constructed from high strength aluminium with stainless steel fasteners and either a powdercoated or anodized finish. 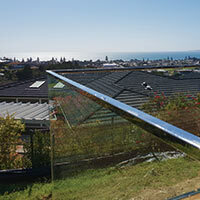 All of our balustrades comply with the NZ building code. All of the post styles can be used for balconies and pool fences in both top-mount and face-fixed options. Spectra A unique system with glass spanning between two posts. Like the Vetro system, glass is supported by the recesses in the posts leaving clean exposed top and lower edges. A Spectra system is semi-frameless but the built in rail allows for standard toughened glass panels to be used and reduces the cost. Vetro Glass spans between two posts and is held in place by slotted recesses in the posts. 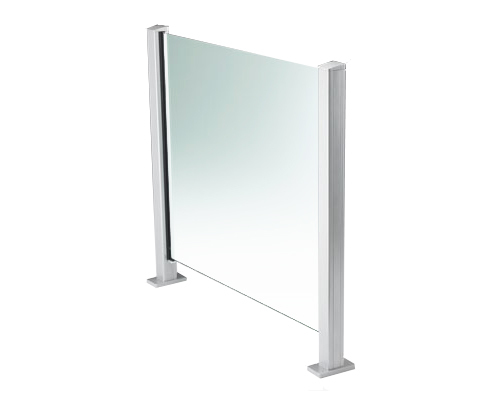 The stylish frameless appearance comes from favouring glass over railing and leaving clean exposed top and lower edges. 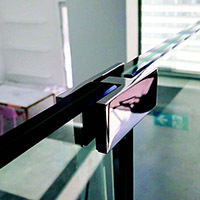 However, as there is no handrail laminated styles of glass must be used to hold glass in place in the event of a breakage. Decor Glazed The most cost effective option, Decor systems are fully framed and allow for glazed safety glass panels. 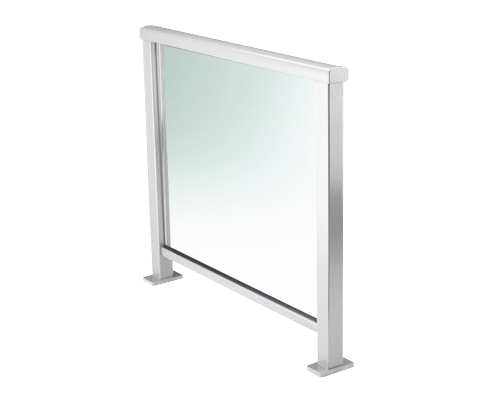 No exposed edges means no additional glass edge processing and a handrail is incorporated for maximum safety.